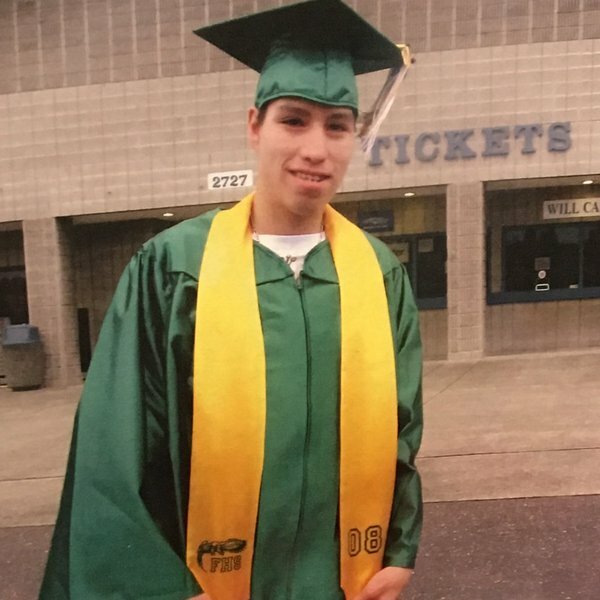 Eleventh Tacoma Homicide of 2014 John Scott Ware Jr.
Two weeks ago a portable speaker was stolen from a 38-year-old man. For reasons unknown, he blamed 35-year-old John Scott Ware Jr. Last week he confronted John and the two of them got into an argument. This past Monday John Scott Ware Jr. was walking near South 12th and State Street. The same man started following him on a bicycle. At some point the man confronted John again. He knocked John to the ground and stabbed him repeatedly while asking him to beg for his life. At some point John managed to get away from his attacker and went to a nearby house. He knocked on the door. A stranger answered the door. John said, “Help me.” before collapsing. Unfortunately his injuries were too severe and he died. A few days later, police officers were able to arrest John’s killer using eyewitness testimony, surveillance footage from a camera at a house, and good police work. 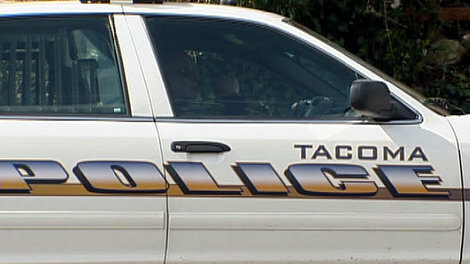 This is Tacoma’s eleventh Tacoma homicide this year and the third homicide this year on Tacoma’s Hilltop. Unfortunately as the year winds down, our homicide rate seems to be increasing despite starting the year with almost three months with no homicides at all. Unfortunately I wasn’t able to find much about John Scott Ware Jr. As always, the comments section is reserved for those who knew the victim. Please share your thoughts or memories of John. If any loved one has a photo they’d like to share, please email it to jackcameronis@gmail.com. I am sorry for your loss. In 1992 I went to New Zealand. This attractive girl there heard I was from the States she asked which state. I said Washington. I said, “No. I’m from a city near Seattle.” She still had a blank look. “I’m actually from a city called Tacoma.” Her eyes brightened. Now it was my turn to have a blank look. My point here is that when I say that Tacoma’s Hilltop neighborhood was known the world over as a crime-filled, scary place to live, I’m not kidding. Since then things have changed substantially. 1. What changes have you seen in Tacoma’s Hilltop in the time you’ve lived there? In the seven years I have owned my home here on Hilltop, I have seen many changes. When I first bought the house, the neighborhood was a bit scary. Drugs were all around, a prostitute set up shop on my porch one winter when the home was vacant, homeless men pushed carts full of their belongings around, and some people’s behavior was just plain odd. I remember a man came by while I was gardening one day and tried to sell me old curtains that looked like they’d just been taken from a Motel 6. Now it is much different. We spend much of our time on the porch watching people, cars, and fire trucks go by. More and more people are buying homes knowing that they are helping to make it a better place. Our MLK corridor, however, has not weathered the years well. We have lost many local businesses and it is a bit of a ghost town. The business heart of our neighborhood needs help. 2. What is the biggest misconception people have about Hilltop? 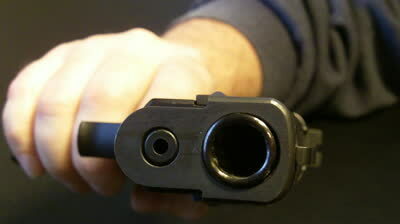 Some people think this is a dangerous place plagued with gangs and guns. I’m not going to say we don’t have problems, but I don’t choose to see the negative. Our friend, Prince, who’s from Fresno, told us that down there people still refer to it as “Killtop.” It is simply not that at all. Hilltop is warm and friendly. Come as you are, stand on the sidewalk, look at the realness of our people, and enjoy. 3. It’s clear that you love your neighborhood. Why do you love living on Hilltop? The people here are fun. They’re storytellers. They have something to say if you take the time to ask. Hilltop is vibrant and full of life. It has taught me that everyone can find their place in the city. 4. What’s something Hilltop needs that it does not have? Hilltop needs a thriving business district. We need investors and business owners to trust in our neighborhood’s future. A street named after Martin Luther King Jr. should not be suffering. 5. What do you see for the future of Hilltop? I see Hilltop continuing to grow with positive change. More and more people are realizing that this is a wonderful little piece of Tacoma, not just a place to drive through on the way to somewhere else. I think we’ve moved past the days where we wanted to take the streets back. Now we need to look into the past when people settled here with high hopes for the future and figure out how to move forward. I want to thank Amy for participating in 5 Question Friday. 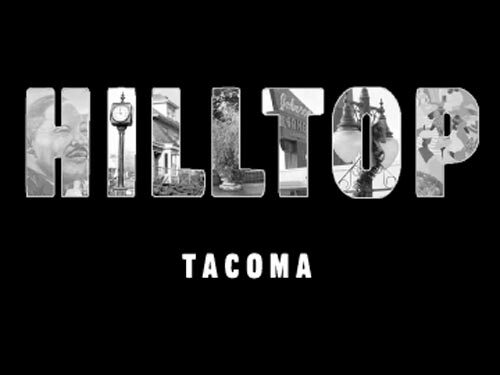 And if you haven’t had a chance to check out HilltopTacoma.com, you really should. This week’s 5 Question Friday, we have L. Lisa Lawrence. She’s a photographer. She’s a gardener. She runs marathons. She’s a community organizer. She’s a fire spinner. She was once a park ranger. She is someone who just might have more stories than I do. 1.Hilltop is one of the most infamous neighborhoods on the West Coast. What made you choose the Hilltop as the place to make your home and how do you like it? What attracted me to the Hilltop is the fabulous 100 year old houses, the early history of the people who built this town (my house was built by Italian immigrants), and the spirit of the neighborhood. Hilltop was my first choice for these reasons, as well as the fact that it is still affordable and was a damn smart investment. This neighborhood (which deserves respect) had to pull its self together and fight what it was becoming. I Love my neighbors. We all watch out for each other, pay attention to what is going on and communicate with each other and the Community Liaison Officers from TPD. This is the safest most peaceful place I have lived in Tacoma. People wave to each other, we sit on our front porches and we walk through the neighborhood, people stop to ask if someone needs help carrying groceries or digging a hole to plant a tree. In some ways, the Hilltop is Mayberry. 2. 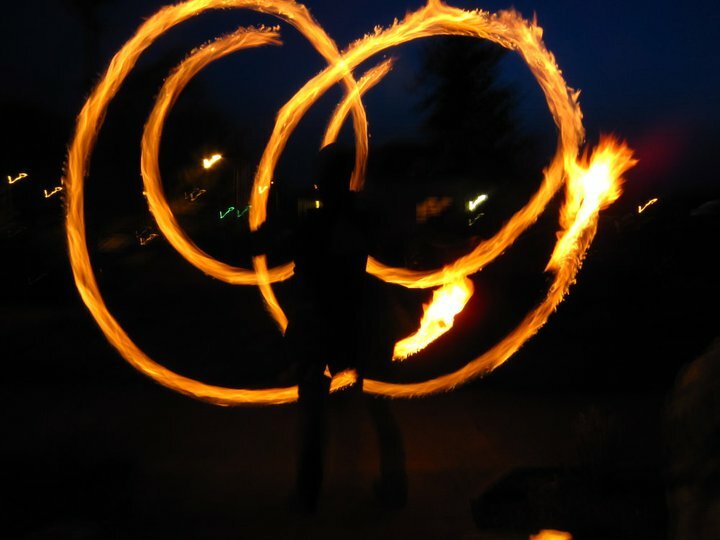 You’ve done everything from being a tri-athlete to spinning fire. Your interests seem to be all over the map. What do you want to do next? I’m actually hoping to get back to some things that were put on the back burner when my mother was sick and dying, specifically playing my violin/fiddle and guitar. I’ve been learning to spin (fiber, not fire) and knit (don’t laugh, some of the most badass athletes and backpackers I know are knitters) I’m all about my urban farm, community and sustainability. Stillness is death-I never want to stagnate or stop learning. 3. Speaking of spinning fire, could you tell us about that? I was a theater kid, I have a dance background. I love grace, rhythm and music. Fire is a primal force-something that is beautiful and which must be worked with carefully and with respect; in addition to the artistic aspect, there is a highly technical aspect which totally turns a geek like me on. In short, it is a rush. 4. You were part of the Speakeasy Arts Co-op. What do you think Tacoma needs next in support of the visual and perfoming arts? 5. What’s one thing you want everyone to know about you? What do I want people to know about me? For the most part, I am an open book-one of the reasons I’ve been told that I am a good writer is because I am accessible and am not afraid to “open a vein” if it touches or moves someone (just friend me on Facebook or read my blog http://wildcelticrose.net/ blog. I guess the short answer is, I am not what you expect, I am much like the heyoka of Lakota tradition (healer and sacred clown) or coyote; I am contrary. I may do something incredibly non traditional and badass during the day, and then sit and knit and/or cook a gourmet meal later that evening. Much like the old Enjoli commercials in the 70s,”I can bring home the bacon, fry it up in the pan, and never ever let you forget you’re a man”. I believe that stereotypes and labels are limiting; I chose to ignore the stereotypes and limits. I am me, passionately and unapologetically me. People generally love me or hate me; there is not much middle ground. I’m good with that. How sad would it be to be someone people are indifferent about?